CharicePempengco (in photo) met with President Gloria Macapagal-Arroyo during her courtesy call at the Malacañang Palace today, January 4. The young singerbrought honor to the country when she recently guested in The Ellen DeGeneres Show that was taped in NewYork. For bringing honor to the country by her singingtalent, Laguna native Charice Pempengco was given the chance to meet President Gloria Macapagal-Arroyo in person.She was scheduled to meet the PresidentJanuary 4, for a courtesy call at the Malacañang Palace at 6:00pm. Charicebecame an Internet singingsensation when her fans posted her videos (in singing contests) in thevideo-sharing site Youtube.com. This paved the way for her to be known in Asia,in the United States, and even in Europe. She was invited to guestin Star King, a televised talent contest in Korea, andeven got to meet some Korean stars such as Kim Jung-Eun of the Koreanovela Loversin Paris, whom she was a fan of when it was shown in ABS-CBN. PEP (Philippine Entertainment Portal) reported in July 2007 that she landeda recording contract with a Swedish recording label, Ten Songs Productions. Charice and Star Records managingdirector Annabelle Regalado-Borja traveled all the way to Stockholm, Sweden,last June 14 to July 21 to start the demo recordings. The young Filipina singerthen recorded six songs of various genres to cater to the U.S. and U.K. markets. But her biggest break so far was her appearance on the December 19episode of The Ellen DeGeneres Show. Charice was personally invitedby Ellen DeGeneres to perform in her showthat was being taped in Los Angeles, California. The NBC show was aired in the East Coast from 2 to 3 p.m. EST.The American TV host-comedienne learned aboutCharice through her YouTube videos and described the young Filipina singer as"amazing." In the Americantelevision show, Charice performed "And I Am Telling You"performed by Jennifer Hudson in the film Dream Girls and WhitneyHouston's "I Will Always Love You." She received two standingovations from the audience while Ellen presented her with an iPod Touch toreplace Charice's iPod, which was lost during her flight to the United States. The 14-year old singer is also the newest addition to the pool of talents ofStar Records. 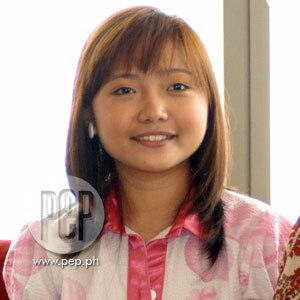 Charice was a finalist in Little Big Star, a children's singing contest hosted by SarahGeronimo. She placed second in the show's Big Division (for 10-13 year oldcompetitors), behind Sam Concepcion and Gian Barbarona. At the rate she'sgoing, this young Filipina diva is well on her way to becomingone of the biggest and brightest teen stars ready tocaptivate the international market. ABS-CBN and Star Records are truly proud tohave Charice as a Kapamilya.